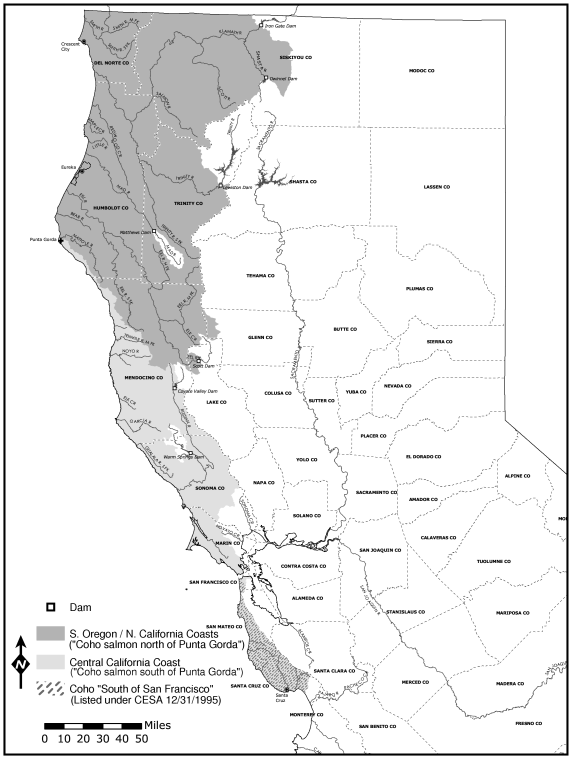 We found records of the historic occurrence of coho salmon in 582 streams, from the Smith River near the Oregon border to the Big Sur River on the central coast. No recent records were located on the presence or absence of fish in 58% of these streams. Of the streams for which we could find data from recent surveys, 54% still contained coho salmon and 46% did not. 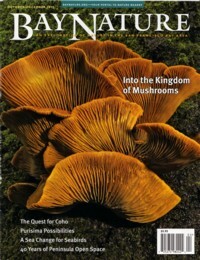 The status of coho salmon populations is best understood from Mendocino County southwards because of the historic importance of coho salmon in these streams compared to chinook salmon, concern for the effects of urbanization, and presence of agency fisheries biologists and others who have been concerned about the status of coho salmon. 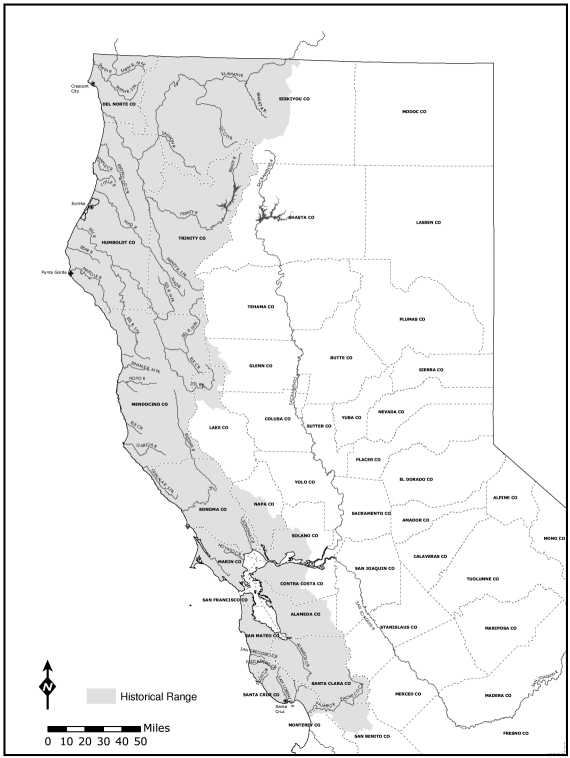 Nine coastal streams south of San Francisco Bay historically supported self-sustaining spawning runs of coho salmon. These streams are San Gregorio, Pescadero, Gazos, Waddell, Scott and San Vincente creeks, the San Lorenzo River, and Soquel and Aptos creeks in San Mateo and Santa Cruz counties. Presently, only Scott Creek is known to support all three brood-year lineages. A lineage is defined as the direct ancestor-descendent line. For the southern populations of coho salmon, there are three distinct and separate maternal brood-year lineages. 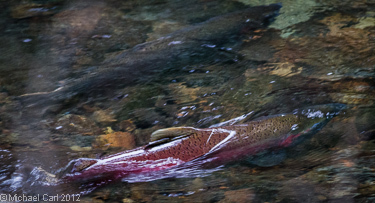 The Scott Creek population has been supplemented in recent years by stocking of coho juveniles from a small hatchery on Big Creek, a tributary of Scott Creek. Waddell Creek, five miles north of Scott Creek, is known to support two of the three brood-year lineages, although one of the two appears to total less than 20 returning adults. The size of the coho salmon populations in these coastal streams is not known; however, some limited sampling for juvenile coho salmon has been conducted on all the streams. Juveniles have been found in Pescadero, Gazos, Waddell, Scott, and San Vicente creeks. However, due to the difficulties in sampling, it has not been possible to estimate juvenile population sizes. 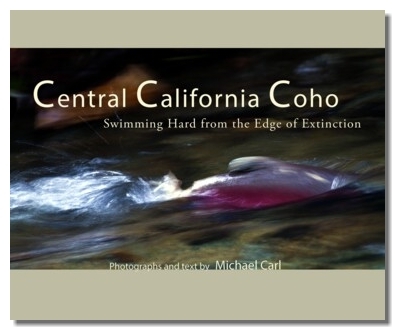 The few existing southern coho salmon populations are small and in danger of extirpation. Population Trends - The petitioners stated ... Scott and Waddell Creeks have lost over 90% of their average documented runs of 50 years ago. They also estimated that the coho salmon populations within Scott and Waddell Creeks have declined 5% to 98% from the historical runs of the 1800's. The petitioners cited (Smith 1992) which reported that only 42 juvenile coho were found in Scott Creek and 19 juvenile coho were found in Waddell Creek. An adult migrant trap was operated in Waddell Creek in the winter of 1992-92 and captured 31 adult coho which represented one-half of the adult run based upon recovery of marked carcasses (Smith 1992). Smith found that most coho were grilse males (aged 1.1), and approximately 8 females were estimated for 1991-92 run. In 1992-93, one coho adult was trapped in Waddell Creek, however Smith (1993) reported that trapping efficency was very poor or non-existent due to high storm flows during two-thirds of the adult coho spawning run from mid-December through mid-February. The present adult spawning run in Waddell Creek is about 50 fish in a decent year and much less in poor years(Smith 1993). Surveys of juvenile coho salmon indicate that Waddell Creek only has a good run every third year; the most recent in 1990, with poor 1988 and 1989 year class production (Brown and Moyle 1991, Smith 1993). 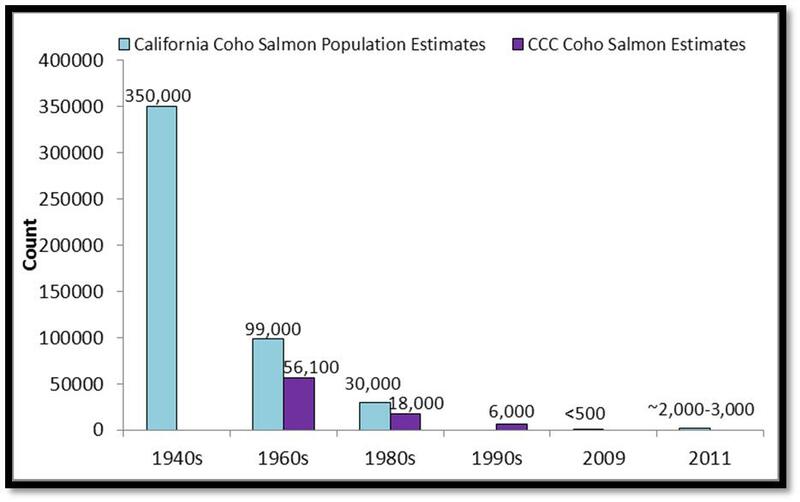 The annual coho returns estimated by Shapovalov and Taft (1954) during the 1930's and early 1940's compared to 1992-93 estimated adult coho run size (Smith 1993) indicates there is an 84 percent reduction in the numbers of returning adult coho salmon to Waddell Creek over the last 50-60 years.